The ESAB® Rebel™ EMP 215ic is a complete 240 amp MIG, DC TIG, and Stick welding package. The Rebel operates off of standard household 120 volt OR 230 volt input power. Weighing only 40 pounds, the 215ic is a light industrial welding machine that is truly portable. It comes complete with everything you need to start MIG, TIG, or Stick welding, except the shielding gas. Rebel's advanced, welder-inspired design sets it apart from all other multiprocess welders on the market. ESAB starts with sMIG technology that actually adapts the MIG arc characteristics to your unique welding style. Should you change your technique while welding, sMIG will automatically adjust on the fly. 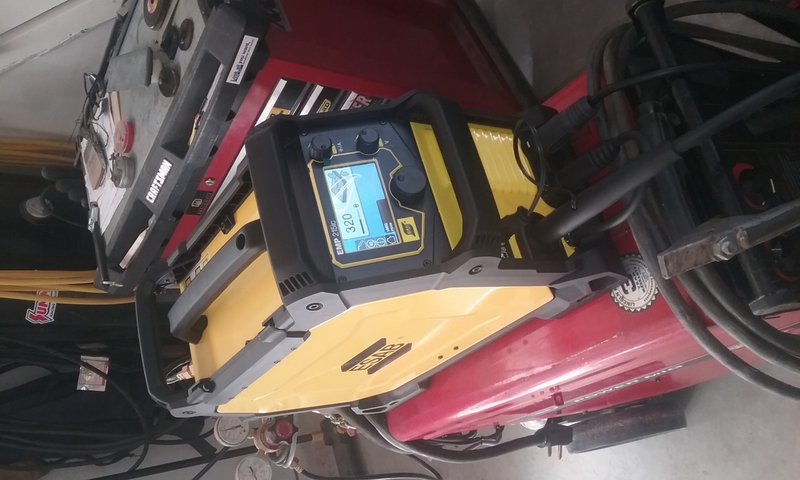 Exceptional lift-arc DC TIG performance down to 5 amps. Smooth, stable Stick welding arc performance is consistent even on difficult-to-weld E6010 and E7018 electrodes. Combine all of this with a bright, bold 4.3 inch LED color display and you've got a go anywhere, do anything multiprocess welder that is second to none. PLUS get a $50 Burn And Earn™ Visa® Gift Card from ESAB® when you purchase a Rebel™ EMP 215ic welder. Download Burn And Earn™ Rebate Submission Instructions HERE. All rebate forms MUST be submitted electronically to ESAB no later than July 15, 2019. Offer expires 6/30/19. 100% SATISFACTION GUARANTEE. If there is anything, and we mean anything, you are not completely happy with in your first 100 days with your machine, ESAB will make it right, or your money back. Industrial cart/cylinder rack and is designed specifically for your Fabricator® 211i, 252i or ESAB® Rebel™ multiprocess welder. Basic Utility Cart comes complete with an integrated cylinder rack and is designed specifically for Fabricator® 141i, 181i, 211i, ET 141i, ET 186i or ESAB® Rebel™ welder. Does it require 8kw running or peak for a generator? Can you carbon arc gouge with this machine? 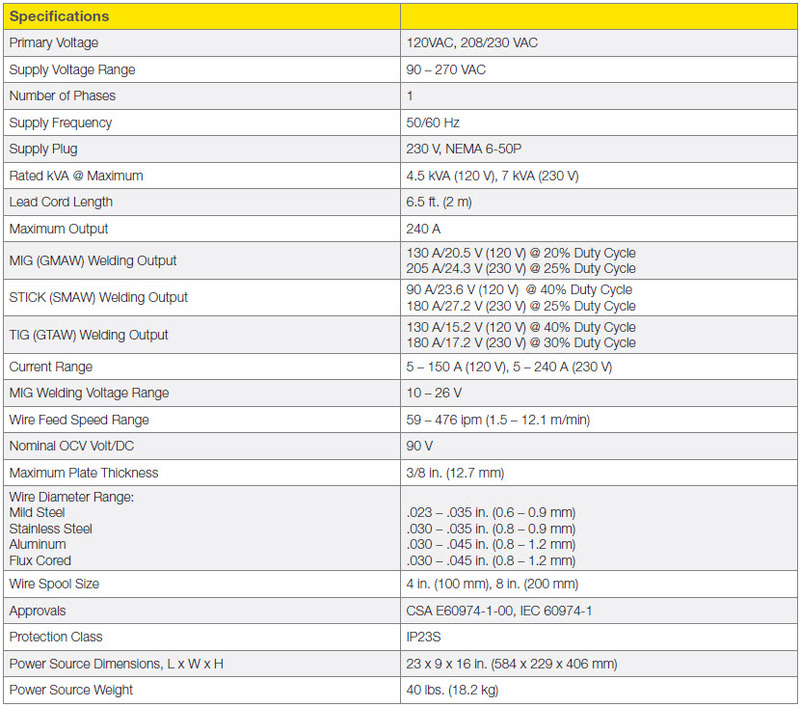 ESAB Rebel EMP 215ic MIG/TIG/Stick Package 0558102240 is not recommended for gouging. Can this be used for thin walled, Tig/stick or 6010/7018 pipe practice? 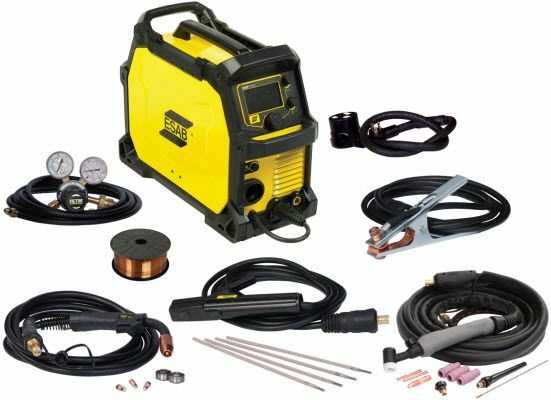 ESAB Rebel EMP 215ic MIG/TIG/Stick Package 0558102240 has exceptional lift-arc DC TIG performance down to 5 amps. Smooth, stable Stick welding arc performance is consistent even on difficult-to-weld E6010 and E7018 electrodes. What size generator does it require? 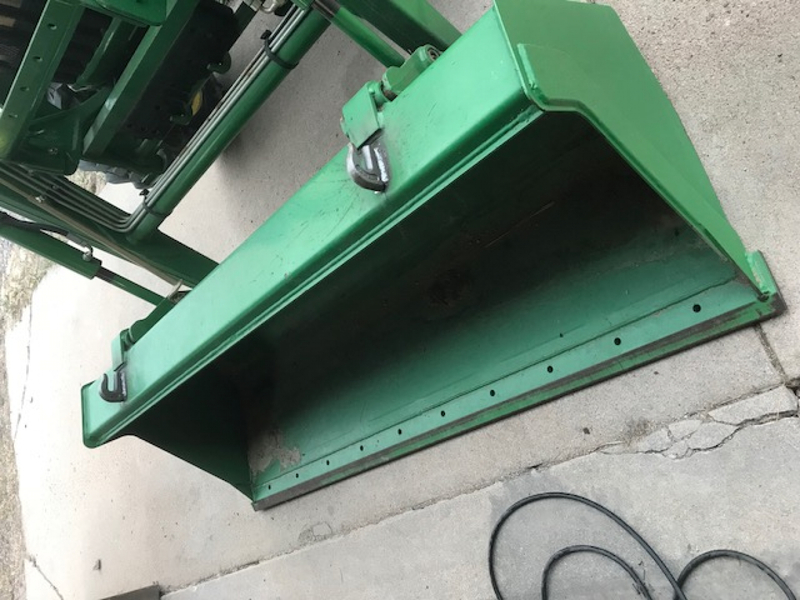 Can the lift start on this machine be used without a hand switch or pedal? Esab advises that the lift start on the ESAB Rebel EMP 215ic MIG/TIG/Stick Package 0558102240 can be activated buy pulling trigger on torch and lift tungsten off of work piece. 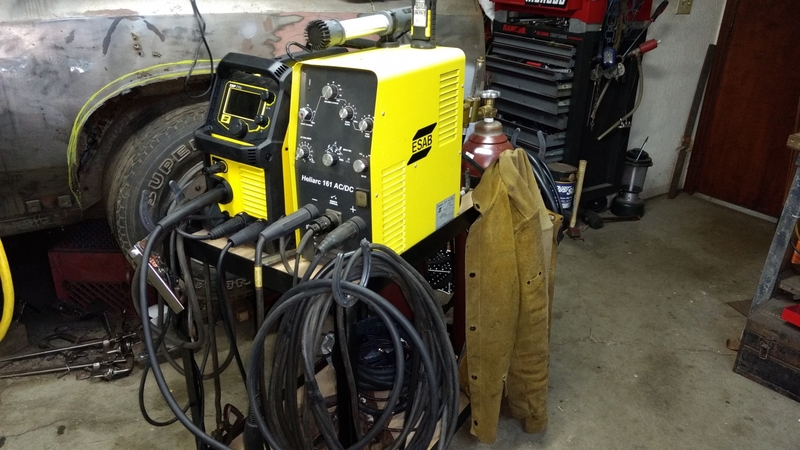 ESAB Rebel EMP 215ic MIG/TIG/Stick Package 0558102240 does have lift arc for tig welding. The Miller 215 with TIG setup comes with guages for both MIG gas and TIG gas. Does the ESAB Rebel offer the same setup? ESAB Rebel EMP 215ic MIG/TIG/Stick Package 0558102240 comes with 1 Victor argon flowgauge regulator with 12.5-ft. (3.8-m) gas hose which can be used for mig or tig welding. Will this unit weld aluminum ? Do they have a 215ic that does if it does not ? ESAB Rebel EMP 215ic MIG/TIG/Stick Package 0558102240 can stick and mig weld aluminum. NOTE: The Rebel EMP is a DC TIG welder only. It CANNOT TIG weld aluminum. With no foot pedal how is voltage controlled in TIG mode? Without the additional purchase of a foot pedal, you would control the amperage on the machine alone. It cannot be done directly from the torch. Do you guys sell the additional footpedal??? 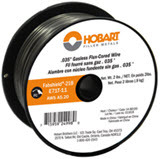 If you are looking for the consumables and liner for the Tweco Fusion 180 MIG Gun, the Tweco MIG Gun Liner - 42 Series part number is 422315. Please make sure you select which diameter you are requiring before you add the item to your cart. There are a few options as far as the tips and nozzles go depending on what sizes you need, you can search those by inputting Tweco Velocity Contact Tip and Tweco Velocity MIG Nozzle in the search bar at the top of our website. how do you control the amperage on this machine for tig welding? does it come with a push start, foot pedal ect.. I hadn't stick welded in quite a while and had never mig welded, so I wanted a multi-purpose machine to re-learn stick and learn mig welding. The stick welding has been excellent on both 120 and 240v. The first few practice beads went very well, considering I hadn't done it for so long. Have used 3/32" and 1/8" 6010, 6013 and 7018 and they all run fine. So far I have been able to do some long awaited repairs on some broken tractor gear, as well as add a couple of weld on hooks to my tractor bucket. Runs great off my 7000 watt generator. I don't have any gas yet, but bought some flux core wire and started practicing. Have even done a couple of small repair jobs. Don't know if it's just me, but the flux core mode seems to run better off 240. For the flux core welding I got a couple of nozzles designed specifically for this process and they are well worth the $12. Haven't tried the tig yet, so can't comment on that. Cyberweld provides good service, got a nice discount using the Chee$e Bonu$ option and delivery was prompt. Will definitely do business with them again. ProsNicely made machine. Very good fit and finish. Welding leads and mig gun are of good quality (Haven't used the tig torch yet, but looks good) Menu layout is easy to follow Easy setup for each process Burns pretty much any rod you want to use I like all the handles, for carrying and protection Very portable. Could take anywhere. I haven't used the machine yet and I'm not a professional welder. I've welded mainly FCAW and O/A. Anyways without trying the machine I can say from the build quality and features that this machine will probably lay out some decent weld of course a skilled operator is a must for any machine. I can say that of the cost of the package atleast 80% maybe 85% went into the machine the rest in the accessories and packaging. I was not thrilled with the 14 gauge power cord. Personally I would have used 10. 14 is fine because of the duty cycle I know, but I would rather up the cable size. There aren't really any benefits other than conceived quality which is why esab chose a thick insulation for the 14 gauge power cord. The ground cable to pick polarity I would have picked something better than a 4 gauge. I would have done a 2 gauge. The ground cable I would have wanted a 1/0 or 0. Having made battery cables for vehicles I can say the ground is the most important leg of a circuit and when I design or repair I always size my ground larger than my supply. The ground clamp is okay, not the best but it will do the job. Just have clean metal to clamp to. The stinger is what it is. A clamp with a cable. That cable needs to be secured by means other than the copper. Same for the ground. They should at least take the crimp and put a lined heat shrink over it to act as a strain relief. The dinse connectors look to be sintered. I would have wanted machine copper or machine copper with a silver plating (big money there). I haven't opened the machine (warranty reasons). But I looked at the schematics in the service manual and it's a pretty good design. Very easy for esab to add more functionality. Simple design. For the wire feed mechanism I would have tried an optowheel to measure the true rotational speed then used that with the circumference of the drive roller to make an accurate wfs rather than have a calibration pot and work by average. Esab has a current monitor after all it's a cc/cv, few more bucks and you could have had a perfect feed mechanism, but what esab did was fine. It's efficient. The mig gun is okay. No real complaints there, the tig gun is bulky and the valve on the gun is a 50/50 deal. It's a plus because I could get my pre and post flows how I want more control, but it's a minus because I have to buy a tig gun that has a valve on it or add one. So yeah would been nice to have that gas valve on the machine feed a tig gun like the 235 does. The consumables pack is no different than any other brand welder. The regulator is fine, not the best unit but again efficient does the job. The hose was 6ft long yet some advertising says it should be 12 some says 6. 12 would be nice but most people are putting these on a cart so 6 makes sense. A big plus was the aristorod that came with the machine nice elf spool. Oh bout the mig gun. Some spare nozzles would have been nice also instead of telling us that we need a separated liner and tip for 0.023, just include it is what I would have wanted to see. Now overall I give the machine 5 stars. Why? Because it's $1699 bucks or less. It's a great package that as is will probably put out great welds provided the operator knows what they're doing. I realize that everything as it is works and works well. I realize I have very high expectations and provided I had the money would also buy that higher level machine, but it's not necessary. 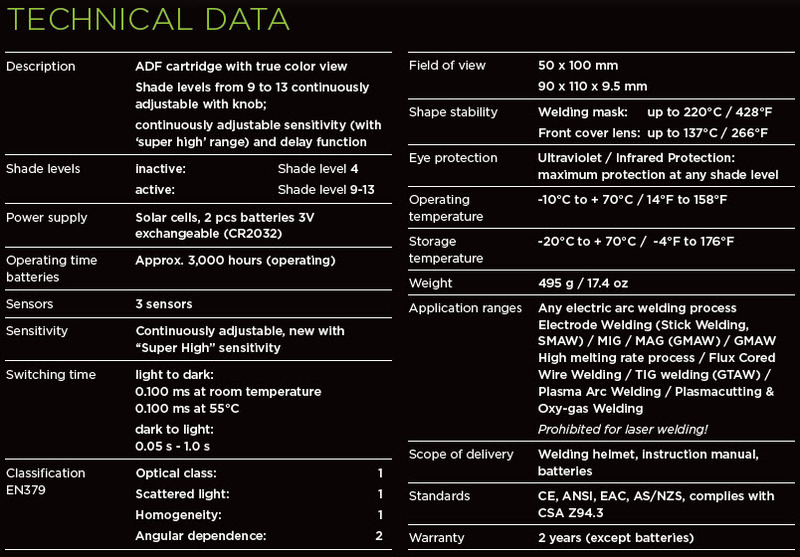 So for the money you will get a great power source will "decent" entry level accessories that will do the job. The ground cable and stinger is not far from any other brand. The tweco mig gun is common. The toy torch isn't great at all, but it will function and that's what matters. I love the package and look forward to using it. 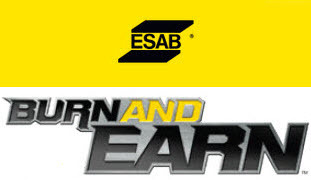 ESAB is a good company and hopefully is commuted to the customer and improving the products they sell. Always room for improvement no matter who or what. Great price, very respectable no frills warranty. I'm waiting on the burn earn rebate to pickup a esab welding jacket etc. I give cyberweld 5 stars. They shipped it out next business day. I had it the following day. They have great customer support. So yes I'm very satisfied. For 1699 money well spent. Accessories are consumables in the long run anyways. It's well "engineered" does the job well while keeping with the bottom line (low cost that works). Love the welder though. Nice packaging and provided literature is good and clear. Things to note is comes with spare contact tips, drive rollers, mug gun o-rings, thickness gauge, and the wire feed alignment tip. Speaking of which it's a good design to prevent birdnesting. The overall quality of the machine is great, very sturdy and durable. Love the screen. Adjustment knobs feel a little cheap in my opinion. Wire drive system is decent, could use some better quality material aka all metal adjustment knobs ect. Main thing I'm disappointed on with this machine was the components it came with. The stick electrode holder is one of the cheapest looking ones I've seen. I previously bought the same ESAB mini arc 161 & that thing had a better electrode holder.. the mig gun is okay.. only part I don't like is that the contact tip does not screw it, you have to have the nozzle on in order to keep the tip in place. The tig torch was probably the best out of the 3 components, nice long leads, button and amperage adjustment knob feels solid. Overall this is a good starter machine with plenty of power. I would buy this machine again for the same price if it had better components otherwise as is I believe $1100-1200 would be a better price. Great customer service and super quick shipping. Haven't used the Tig setup yet but the mig and stick are working perfect. This is just used for home use and repairs. I didn't buy it at Cyberwelds,. I went in the store to fill a bottle and saw it on display. I was very impressed with the looks and quality of the build. Now l need to sell my Lincoln easy mig 140 this thing blows it away. I've been looking for a cheap tig for a while and at this price getting all three and dual voltage, who could ask for anything more. I have only used it on 110 and it works fantastic for the price paid. It is hands down smoother operating than my little Lincoln. 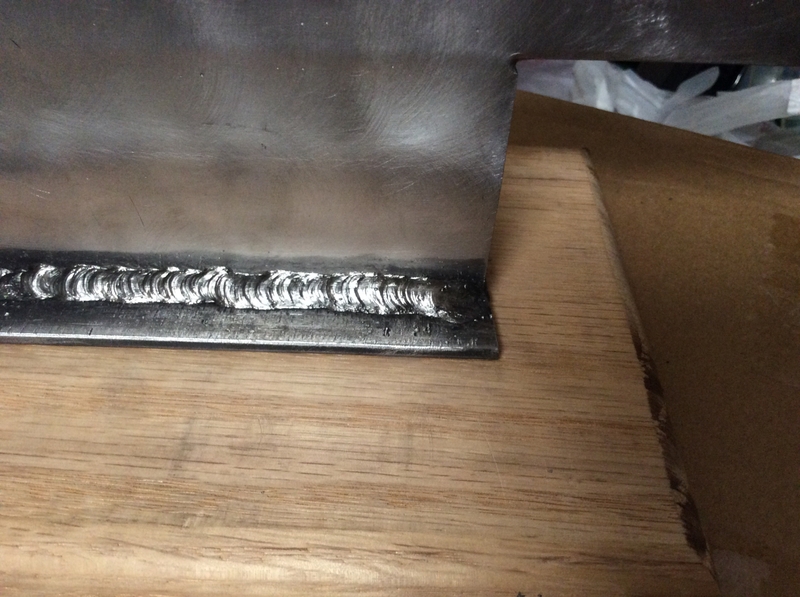 The tig works great and I'm kind of getting use to the hand control. I'm on this site looking to get the foot control but anyone that's never Tigged before should be fine with the gun that came with it. 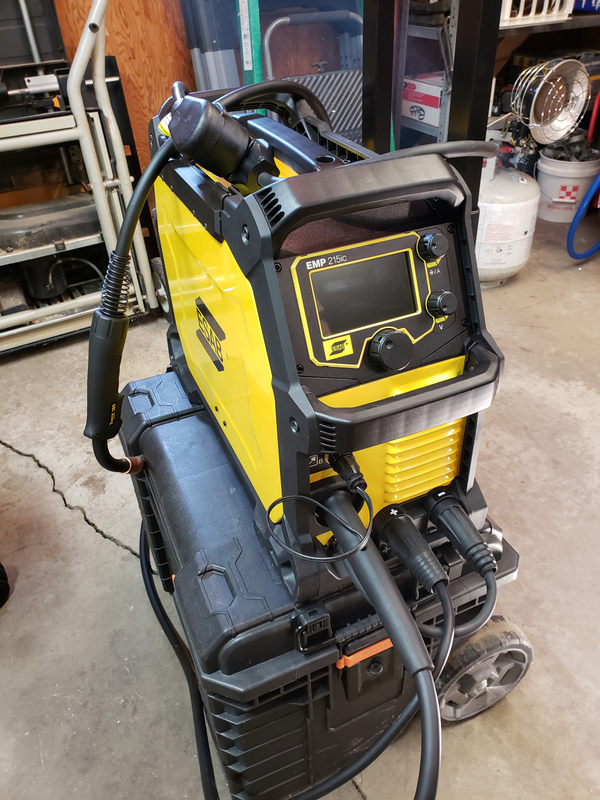 I'm expecially pleased that it came with the hand control tig because it is going to be very handy doing work under a car or truck or any other confined space.. good job ESAB let's just hope it holds up for years to come. ConsNone if l wanted something more l would not have purchased it. loving it but there was one issue. when i tried to use the mig process for the first time my gas was blowing out by the rollers. i changed the o-rings that came with the machine but it didnt help. im going to get an o-ring assortment and try a few different sizes. 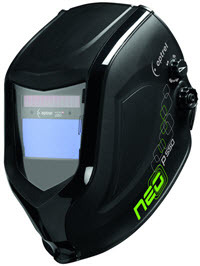 Great product that after a ton of research I decided to purchase from CyberWeld. Shipped and received quickly. I got my welder in super fast and I have had nothing but great things to say about it. Love the new welder. Comes with everything. Ordered this and received it a week later. Used it a few times now since getting and gosh it blows my old miller and chinese eastwood out of the water! Tried out the sMIG and right out of the box it made a beautiful arc and crackle! Decided to pull the gun away and see how well sMIG kept up and I was able to pull pretty far before the arc started to miss! Worth every stinkin' penny! Here's the real kicker, these guys are so determined to make sure you have a manual for the machine that not only is one included built into the software itself, but you also get a paper version, AND a USB version! This welder replaces a larger power CC/CV source and wire feeder that were stolen in a burglary of my shop. It will handle most of what I need and is small enough I can take it with me and not leave it in the shop. It runs great. Cyberweld shipping and service was very good as advertised. Good deals awesome products will be returning for more. Had this a couple of weeks and have only been able to run it on 110V and MIG only. Performing light work finishing out the inside of a metal building. It has worked like a champ. Looking forward to running on 220V. Great welder, does everything as advertised. Cyberweld you guys are as awesome as this welder. Okay let me start by saying I'm a rookie welder.... This is my first machine and I spent months doing my homework before I ultimately bought this one. So far all I've done is some flux core on some 1/8 inch steel using 110. All I have to say is you will not be disappointed with this welder, I can't get over the build quality of the machine these guys made a beautiful piece of equipment that makes me, a beginner look like I know what I'm doing. I was looking at the Miller Multimatic 215, Everlast 211si, and the Lincoln 210mp and went with the ESAB and I cannot begin to tell you how happy I am. The tech support is fantastic, I had some newbie questions and they were answered immediately. And let's not forget Cyberweld, they are fantastic as well great costumer service top notch company. Great machine at a good price. Fast shipping and Cyberweld customer service is excellent! ProsMig/Tig/Stick all in one machine and this machine is capable of welding 6010/6011. Others I looked at were not. Bought this to replace an old Hobart. This unit makes it look like I know how to weld. Just finished a 20 foot flatbed with it. Like everything else I've bought from Cyberweld it came quickly. ProsLite. Easy to move and store. Makes a mediocre welder like an experienced welder. Can't tig aluminum, what is purpose? Been using a Ranger 8 linked to a LN 25 wire feeder with gas for 17 years great rig but too much for thin sheet metal. This machine does sheet metal and dose a excellent job. 1/4 A36 HR is thickest I have done so far. As for DC Stick, it works great. I built a welding cart on the first day. Photo below. Planning to get with CyberWeld for a spool gun. This is one of the greatest pieces of equipment I own in my shop. Easy to set up, easy to use, and performs beautifully (so far). I have less than 80 hrs actual trigger time on it, but thus far have absolutely no complaints. Fantastic purchase. 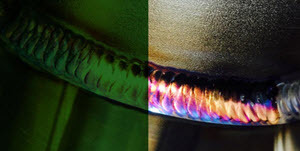 It is great for beginners as well as experienced welders. The settings allow for a user friendly experience. It has a great duty cycle for the price it is. Plus it comes with tweco accessories and Esab filler wire. A true beast. Better than the Lincoln 210 mp. Very happy with this welder.